On this page you can access some of the forms generally required by donors, grantors and sponsors. If you care about nonprofits and the work they do, then you’re affected by what GuideStar does. 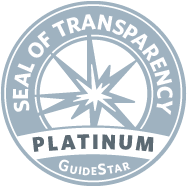 GuideStar gathers and disseminates information about every single IRS-registered nonprofit organization, and provides as much information as they can about each nonprofit’s mission, legitimacy, impact, reputation, finances, programs, transparency, governance, and so much more.